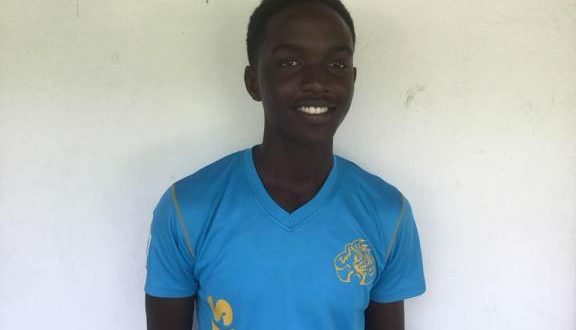 Terry Finisterre- Saint Lucia and Windies U19 batsman Kimani Melius propelled hosts Windward Islands to their second straight victory in the WINDIES Under-19 One-day Championship on Saturday. Melius hit a boundary-studded 65 from 53 balls to top an even 50 from Uri Smith to carry the Windwards to a six-wicket victory over Leeward Islands at Cumberland. Leeward Islands amassed 155/9 (43 overs). Melius, as aggressive as is his his wont, hit four fours and five sixes,with a strike rate of 122.64 to lead the Windwards from the front. The second highest run scorer as the Windwards got past the adjusted target at 154/4 (33.3 overs) was fellow Saint Lucian, Johnel Eugene, who struck a more sedate 29 off 47 balls.